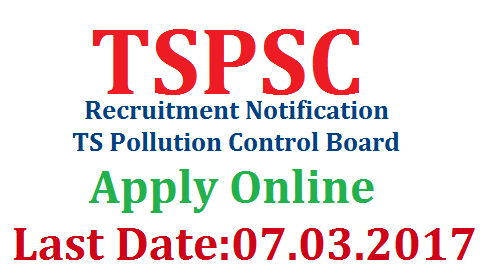 Applications are invited Online from qualified candidates through the proforma Application to be made available on Commission’s WEBSITE (www.tspsc.gov.in) to Various Categories of Posts in Telangana State Pollution Control Board. The Dates of Examination will be announced later through newspapers. The Commission reserves the right to conduct the Examination either COMPUTER BASED RECRUITMENT TEST (CBRT) or OFFLINE OMR based examination of objective type.